We will return to more ‘normal’ HTML Tutorials soon but as you’re building your new website, it is important to think about your users. In the current era of multi-device access to the web, considering website load time really matters. One of the simplest ways to improve site speed is by using a file called .htaccess. So let’s look at some website speed hacks using this htaccess file. Denying access to bots, crawlers and sometimes human beings. Note: .htaccess is only relevant for Linux/Unix servers. Windows Servers use a web.config file instead, which is outside the scope of this tutorial. We are going to use it to speed up your website’s load time. You don’t have a valid file name (because you don’t have anything before the full stop/period. You have an unusual file extension. Just ignore the file warning and save it to your root directory. Harnessing the module mod_deflate we can add some lines of code to, effectively, compress the files when they are delivered from the server to the browser. This makes the files smaller, which speeds up their download. These lines deflate the ‘text’ file types – so .html, .css, .js, .xml etc. After the DEFLATE command follows the official MIME File Type descriptor. If you’re using custom fonts in your CSS, and you’re hosting them locally on your web space, then you can also deflate these. Note: if you’re using fonts from an external source such as Google Font Library, and you’re using the <LINK> tag to do so, then you cannot speed up their delivery. If possible, host your fonts on the same web space as your website. If you want to ‘clear’ the cache, you can remove these lines, clear your browser’s cache and then you can download the new .htaccess. Even at the early stages of learning HTML5, or CSS3, you must consider how fast your website loads. Building a site that runs slowly will put your website visitors off and you want them to stay. 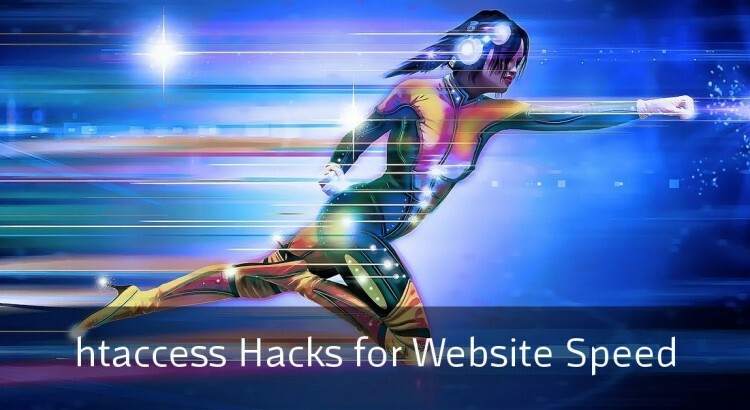 Hopefully this quick tutorial will give you an introduction into what can be achieved to improve site speed with these simple .htaccess hacks!